Star Camp is open is any student who has completed kindergarten – 5th grade. 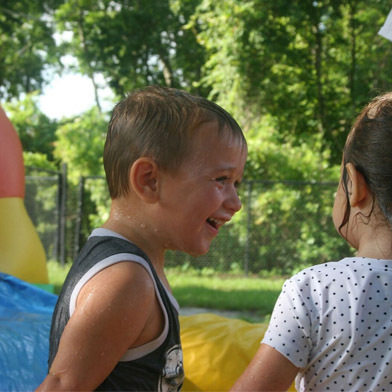 As you are exploring what to do with your children for the summer know that Star Camp is the best place in Orlando! You can be confident knowing that your child is safe in the hands of degreed teachers who have planned fun and educational activities for your child. Each week the activities are centered around a fun theme, and students enjoy activities like water exploration, outside play, arts and crafts, games, movies, scavenger hunts, and weekly field trips that align with each theme. The star campers also go bowling and alternate between swimming and skating each week. LFPS hires a chartered bus to take them on the field trips. LFPS also offers a summer program for preschool students. 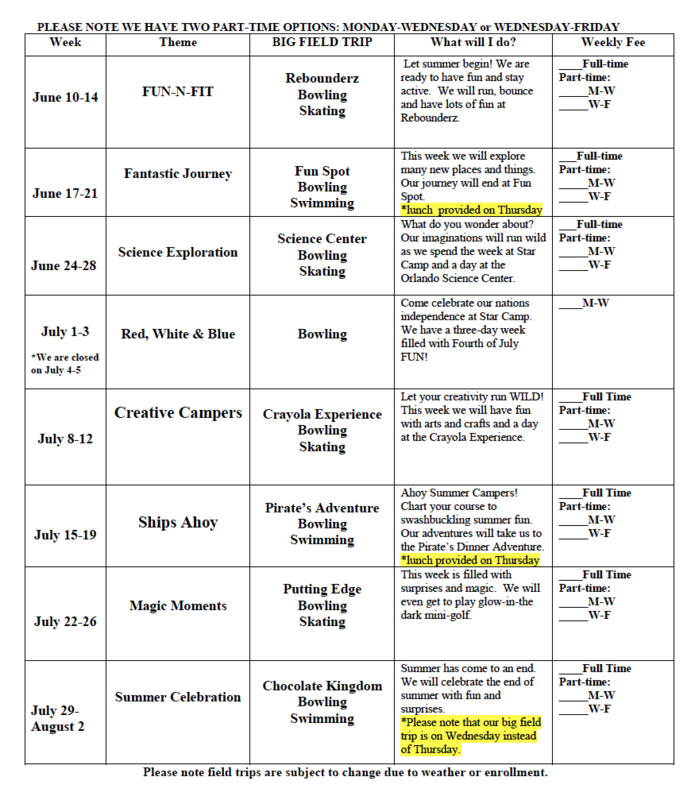 We have weekly themes, fun activities, and water days planned. Space is limited. Please contact the school at 407-331-5144 for additional information.